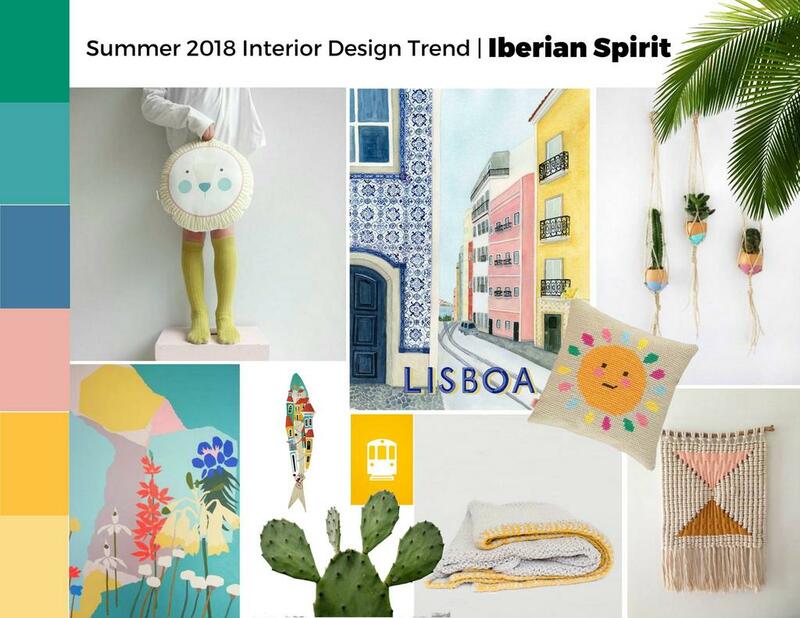 As forecasted two years ago by Trend Bible, high summer of 2018 is bursting with Iberian Spirit! A beautiful blend of traditional and modern influences, this colorful trend brings the very best of Iberian and Mediterranean styles – laid-back living, sun-drenched vibes and loads of vibrant originality! Pattern, texture and rich colors are a trademark of this design movement, emphasizing the perfect imperfections of handmade items as the most stylish eye-candies of the moment. High-quality natural materials and simple, yet playful designs promise a refreshing shift from the minimalism of the last few seasons. Iberian spirit can be spotted everywhere. Summer collections of the biggest interior brands from all over the world (such as Target, Crate & Barrel, Marks & Spencer) are embracing traditions and crafts of Iberian Penisula in their furniture, lighting and textile lines, making it much more accessible to many who are choosing to bring in a dash of color into their interiors. Hand-rendered quality of Iberian style abstract art, woven designs and embroidery delights reflect the energy of a Portuguese market and street festivals bursting with life and creativity. 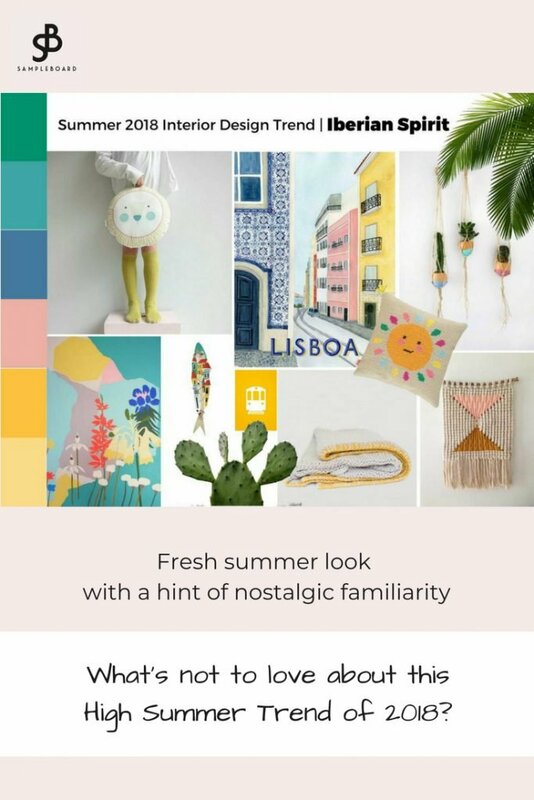 Whats not to love about this fresh summer look with a hint of nostalgic familiarity? Lets play around with the trend for a sec and create an inspiration board, shall we? When making a mood board, I usually create a Pinterest board first and pin the images in a mood I am trying to achieve with that particular project. Sometimes just a few are enough to put me in a creative mood and sometimes I spend quite some time pinning before hitting the right direction. No rules here, but one – dont spend forever pinning ideas. Start working on a mood board and you can easily add more elements if you need them afterwards. Import the images from a Pinterest board directly in SampleBoard. The next step is the most fun – playing around with the images. Rearrange them until you create an aesthetically pleasing composition. Use Background Clipper to remove the background. For Iberian Spirit mood board, I used this function for Cactus, fish and cushion (and then rotated it on the side). To make a color palette like the one in this board go to Basic Edits and under Shapes choose Rectangle option. Adjust Stroke and Background color to match the color you would like to display and repeat until you have all the colors you need. Arrange the rectangles in a way youd like. To sample a color from the images I use ColorZilla Chrome plugin. In Basic Edits choose Text, your brands font and size and write the text. Export mood board and save as Public to enter SampeBoard Monthly Giveaway. I literally created this board in less than 10 minutes, and exported it to my computer! Give it a go yourself at www.sampleboard.com.